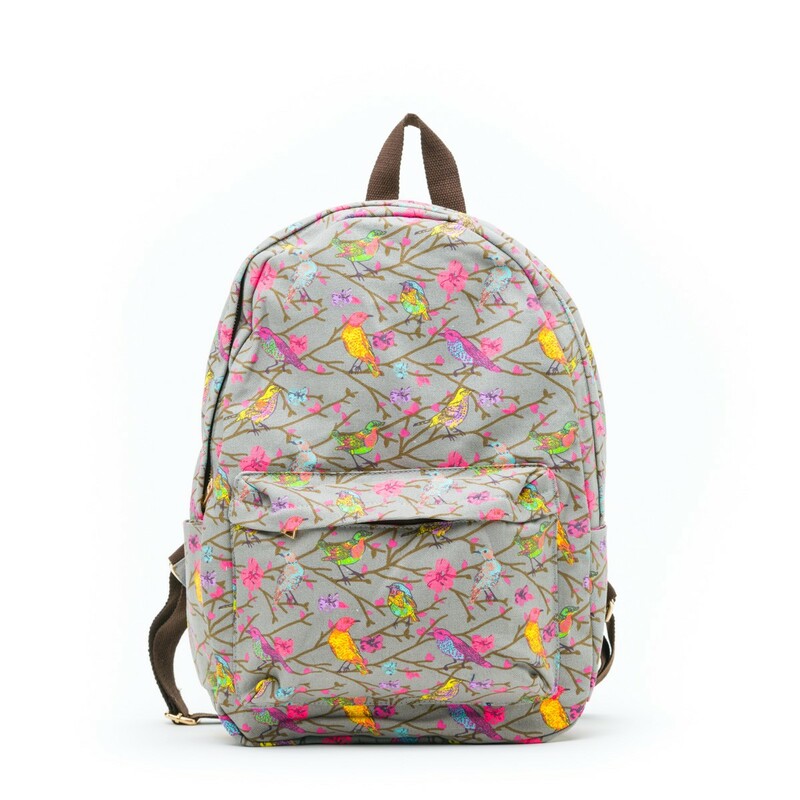 A pretty bird print designed canvas lined rucksack with a large flap over clasp. - Large front zipped pocket. - One main zipped opening. - One inner zipped pocket.